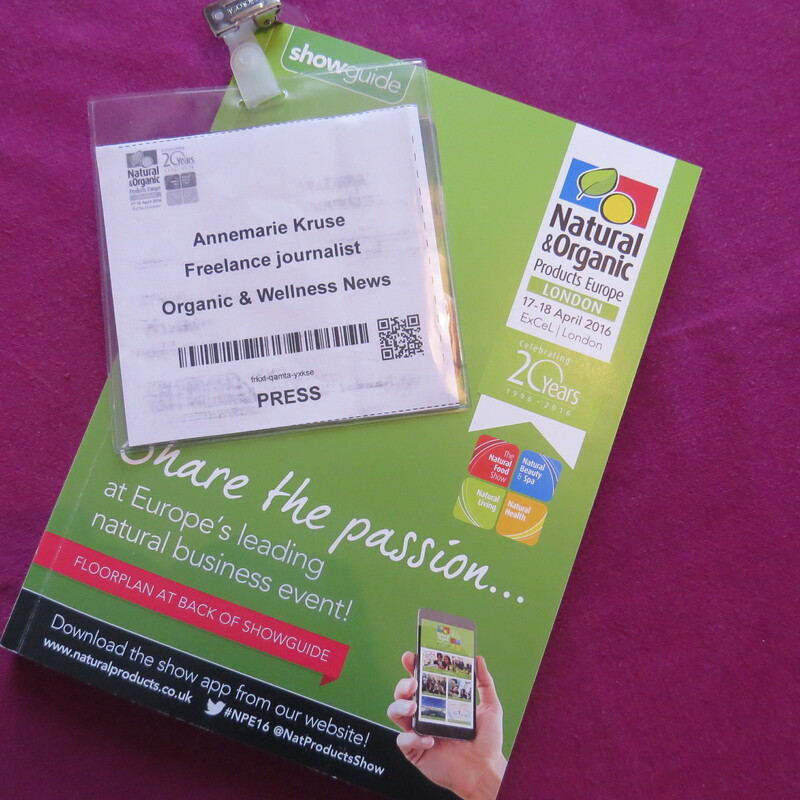 Last weekend I attended Natural & Organic Products Europe trade show in London (17th-18th April 2016). 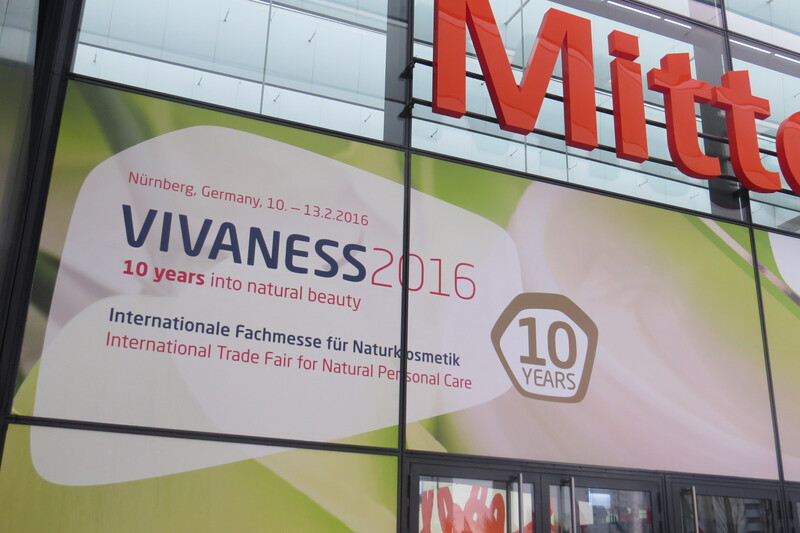 The UK’s biggest natural products fair celebrated its 20th anniversary this year; congratulations! 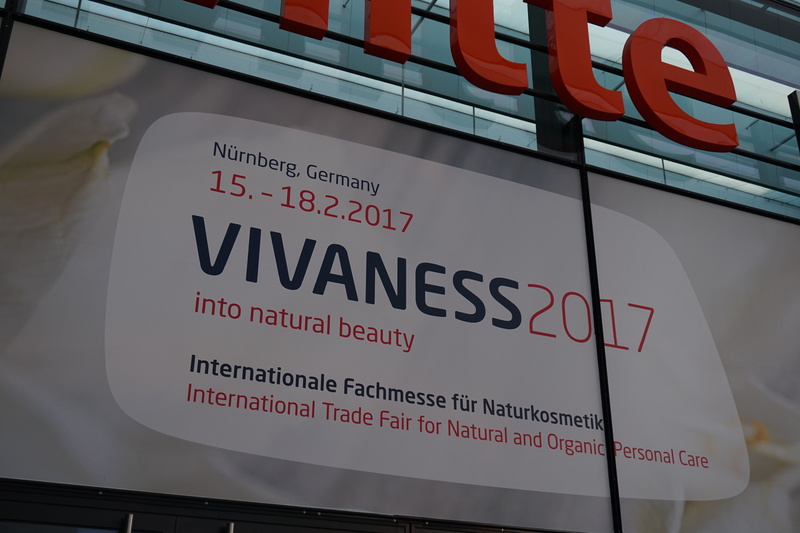 I seem to remember visiting Natural & Organic Products Europe back in 2004 or 2005 (at that time, it was still held in Olympia). However, in 2015 the show moved to the ExCel exhibition centre in East London, out in the Docklands, and this is also where this year’s trade fair took place. 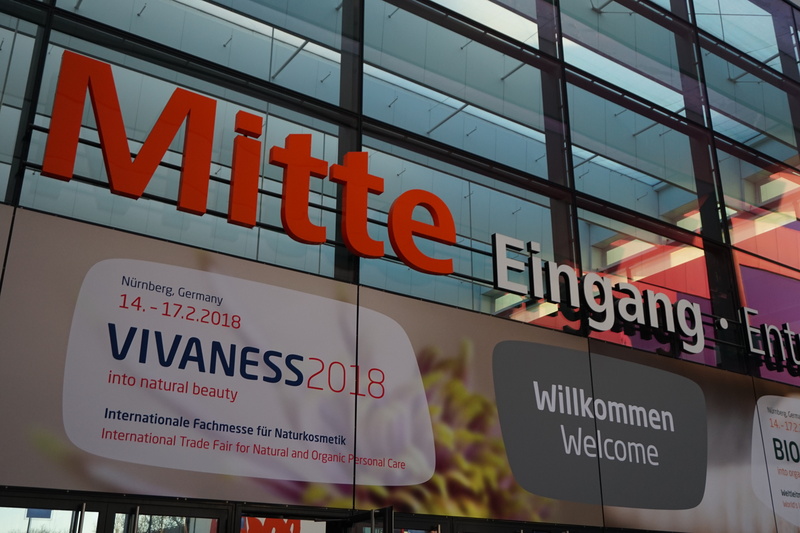 According to trade show organisers Diversified Communications, some 650 exhibitors from the organic and natural food, beauty and supplements industry attended NOPE and there were over 9500 visitors. The trade fair was divided into four sections: The Natural Food Show (which accounted for around 50% of the exhibition space), Natural Beauty & Spa (around 25%), Natural Living and Natural Health (also 25%). Since I only had one day at the show, I focused on the C&T part of the trade fair but also found the time to check out some of the food exhibitors – superfoods, coconut products, raw chocolate, dairy/meat substitutes and free-from foods were much in evidence! 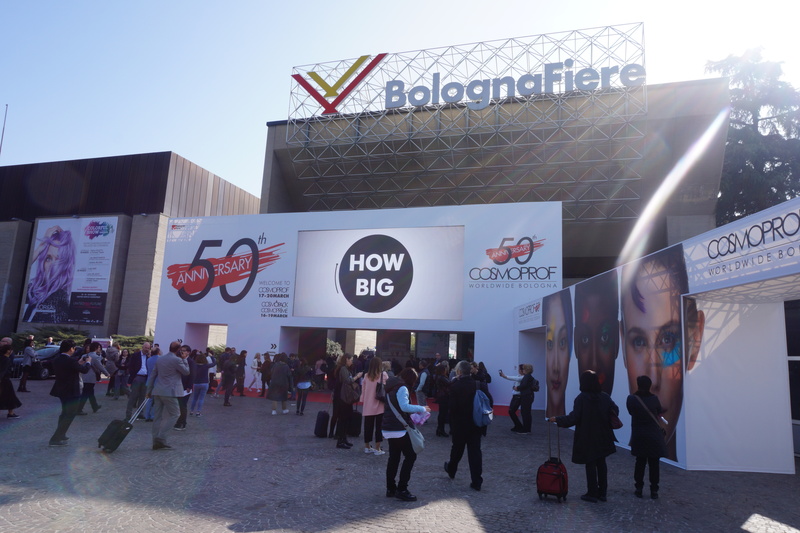 In the Beauty and Food sections of the show there were Natural & Organic Awards Europe showcases: visitors could vote for their favourite new product and a panel of judges then decided on the winning entries in 13 categories. 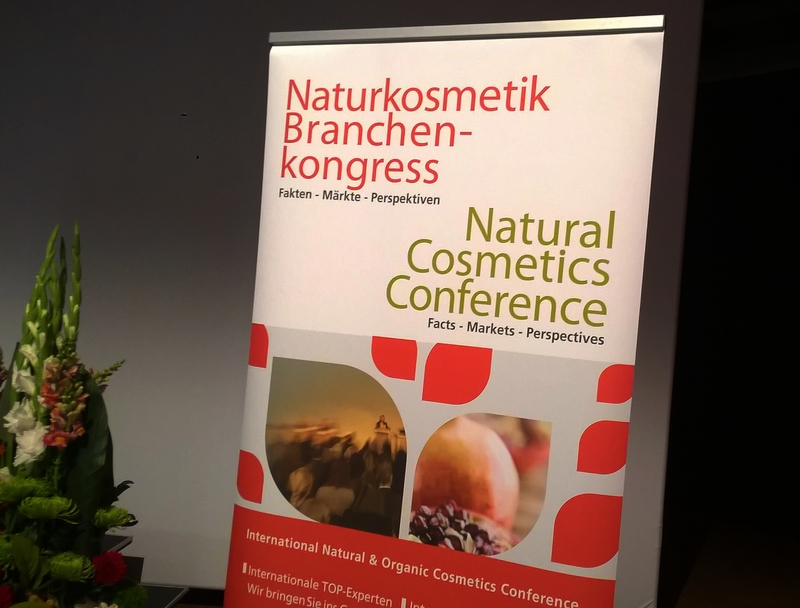 In addition there was a conference program of lectures and presentations on various health and beauty topics and the Natural Food Kitchen over in the organic food section featured live cooking demonstrations. Nice! 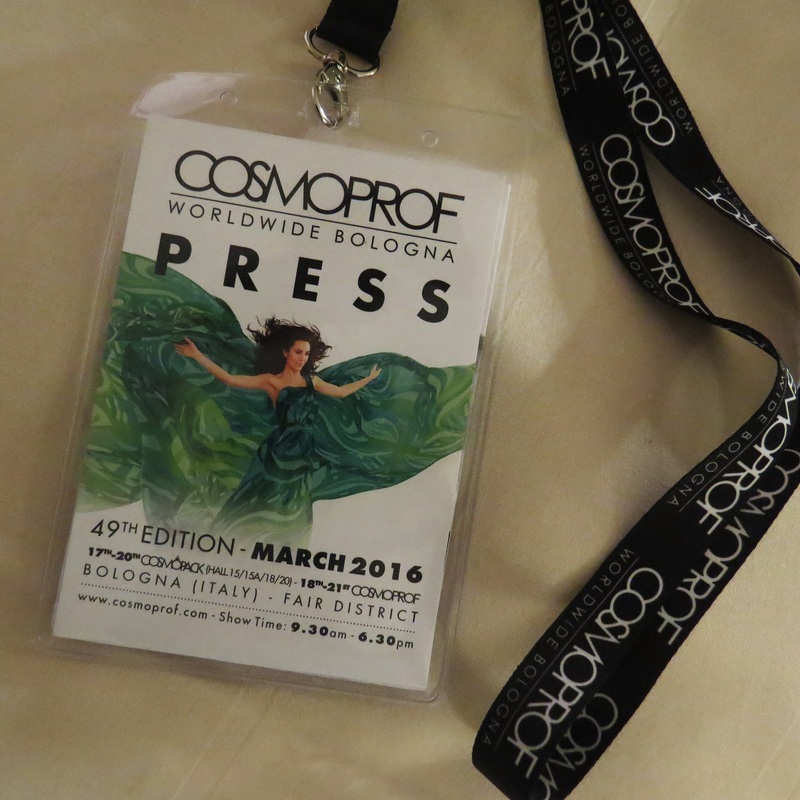 And here, in no particular order, are some of my favourite beauty discoveries from Natural & Organic Products Europe 2016, starting with the international exhibitors!